Three first author papers, one second author paper, and one second last author paper is the success of CHI 2018 for me. After a hard year, all 5 papers made it into CHI and the scope of each paper is vastly different. The first one is all about how to evaluate disruptiveness of mobile interactions in a social setting. 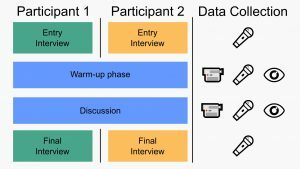 In detail, our literature research showed that there is not quick an rapid method to understand how mobile interaction influences a face-to-face conversation. Thus, we developed a mix-method approach which allows to rapidly analyze a new interaction method in regards to disruptiveness. Moreover, the method also provides insights on how to further improve the interaction. Sven Mayer, Lars Lischke, Paweł W. Woźniak, Niels Henze: Evaluating the Disruptiveness of Mobile Interactions: A Mixed-Method Approach. In: Proceedings of the 2018 CHI Conference on Human Factors in Computing Systems, pp. 406:1–406:14, ACM, New York, NY, USA, 2018. With the second paper, we studied how two parties would interact with large high-resolution displays. 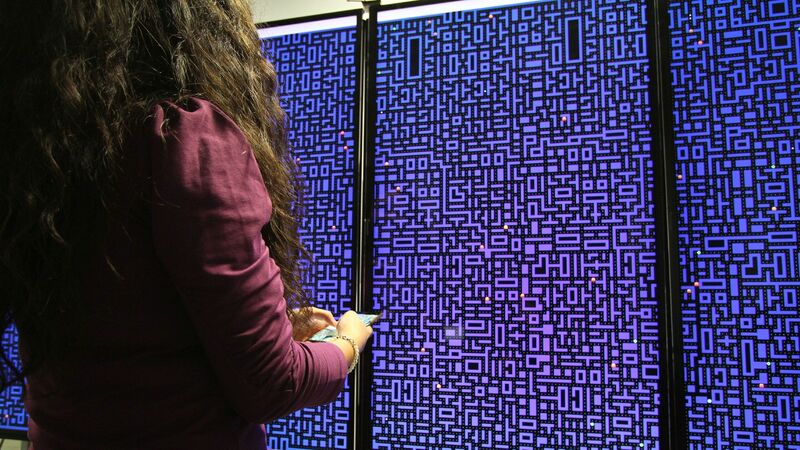 Here we let two participants play Pac-Many on a 4 by 1-meter screen (6x 50-inch 4K-screens). Pac-Many is a multiplayer game based on the original Pac-Man version from 1980 which is optimized to run on such a large screen. Further, we implemented the game in a way that players can use there own device to foster the ‘bring your own device approach’. In the paper, we show that players real-world movements in front of the screen differ when they play together as a team or play against each other in a one-on-one style game. Sven Mayer, Lars Lischke, Jens Emil Grønbæk, Zhanna Sarsenbayeva, Jonas Vogelsang, Paweł W. Woźniak, Niels Henze, Giulio Jacucci: Pac-Many: Movement Behavior when Playing Collaborative and Competitive Games on Large Displays. In: Proceedings of the 2018 CHI Conference on Human Factors in Computing Systems, pp. 539:1–539:10, ACM, New York, NY, USA, 2018. 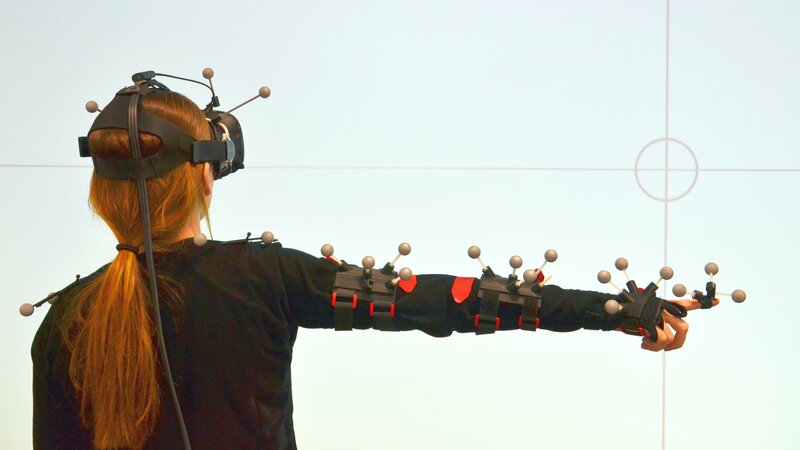 Extending my previous research, see Modeling Distant Pointing, we investigated how pointing is effected in VR in comparison to a real-world pointing scenario. We show that the mid-air pointing correction functions are different for VR and the real world. Resulting in two different models. 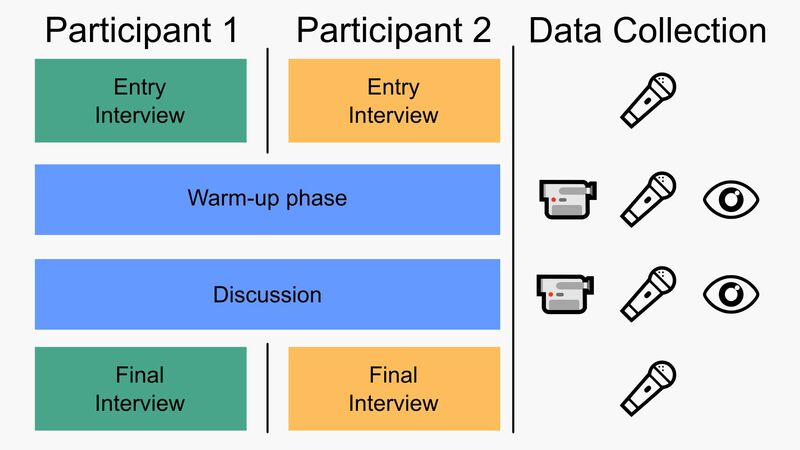 In contrast to the first paper, we implemented the function and conducted a second study where we asked participants to point on targets with and without the correction function. Sven Mayer, Valentin Schwind, Robin Schweigert, Niels Henze: The Effect of Offset Correction and Cursor on Mid-Air Pointing in Real and Virtual Environments. In: Proceedings of the 2018 CHI Conference on Human Factors in Computing Systems, pp. 653:1–653:13, ACM, New York, NY, USA, 2018. Here, again we extended our work on “Finger Placement and Hand Grasp During Smartphone Interaction” (CHI WIP’16). The first author of both papers is Huy Viet Le. 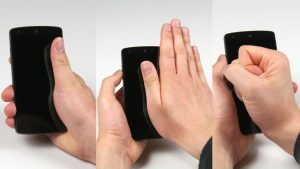 In the new paper, we investigated the not only the finger placement in a static scenario, here we investigate the full finger range on today’s phones. We used an optical tracking system and asked participants to perform two different tasks: a) discover the full range of each finger on 4 differently sized phones and b) express the comfortable reachable area with each finger on all 4 phones. 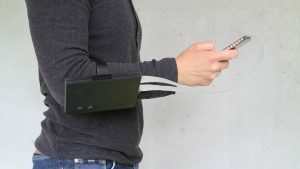 Huy Viet Le, Sven Mayer, Patrick Bader, Niels Henze: Fingers' Range and Comfortable Area for One-Handed Smartphone Interaction Beyond the Touchscreen. In: Proceedings of the 2018 CHI Conference on Human Factors in Computing Systems, pp. 31:1–31:12, ACM, New York, NY, USA, 2018. 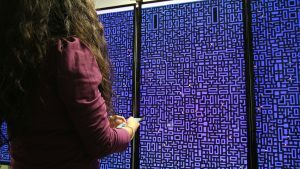 While over the last years, commodity smartphones and tablets got better in rejecting the palm when touching the screen, in this paper, we envision to use the palm as a new input technique. 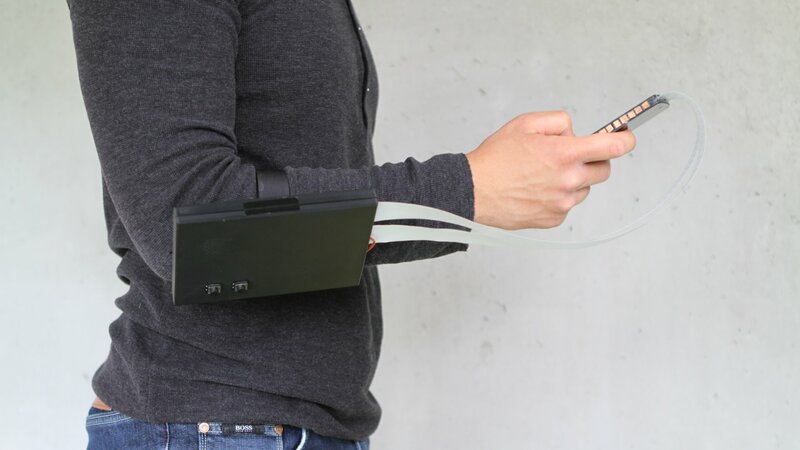 Therefore, we conducted an experiment in which we asked participants to perform a “PalmTouch” while in the first study we only recorded the capacitive image of the palm itself. Based on the recorded data we train a machine learning model which achieved a 99.58% accuracy in distinguishing between a palm and finger. Huy Viet Le, Thomas Kosch, Patrick Bader, Sven Mayer, Niels Henze: PalmTouch: Using the Palm as an Additional Input Modality on Commodity Smartphones. In: Proceedings of the 2018 CHI Conference on Human Factors in Computing Systems, pp. 360:1–360:13, ACM, New York, NY, USA, 2018.